Harnessing the sound of my voice was absolutely the most powerful comfort measure I used throughout the birth of my daughter. While pregnant, I’d wondered briefly how my soul would want to sing through this process, but I didn’t know what to expect. I didn’t know how important it would be to my labor. The use of my voice arose spontaneously and instinctually as I moved from early to active labor. I didn’t think about it—the wisdom of my body just called me to make sound. Sounding my birth song was one important constant that kept me calm and centered and birthing naturally as I’d hoped. Vocalizing during the rushes of labor helped me in a number of ways. It helped me to move the strong energy of labor through my body so that it didn’t get stuck or overwhelming. Using my voice helped me stay on top of each wave—my voice was the surfboard I used to navigate the epic swell of my daughter’s birth. Sounding also helped me to stay present in my body and out of my mind, the past and the future. When my voice rang out, I just listened and followed as it matched the rise and fall of each contraction—in this, there was no room for my thinking mind to interject with thoughts, fears, worries, or judgments. It had no space to think about the last contraction or worry about the next one. I had a place to focus. I also noticed the benefits of vocalization on my baby after she was born. In the fourth trimester—those first three months of her life outside the womb—sounding OM, as loud and as long as I could, was one of the few things I could do that would calm my daughter and settle her during an intense crying spell. I can’t say for sure, but my guess is that the sounds were familiar and comforting to her. They too gave her a place to focus and find calm. The use of the voice—particularly low tones—has many established benefits in labor—benefits that women have intuitively known for all time. Making the voice serviceable in labor helps the body to relax—it relaxes the jaw, the shoulders, and the pelvic floor, an absolute necessity in the birthing process. Ina May Gaskin, one of the foremost contemporary midwives in the West, is famous for saying “open mouth, open bottom,” meaning when the mouth, jaw and face are relaxed, the cervix is able to relax and open, thus supporting the progress of labor and birth. So not only does vocalization help us manage the intense sensations of birth, it actually helps facilitate our labor progress. Many women are afraid of using their voices in labor. We may worry we’d be too loud for those around us, or maybe we don’t want to draw attention, or we are worried about what others will think. Many of us are not used to vocalizing in ways other than speaking, especially in front of others. Many of us may not even really know what the sound of our voice is like in low extended tones. Energetically speaking, mantra and other forms of vocalization open up and move energy through all of the chakras, or energy systems of the body. Particularly, moving energy via the voice activates and clears the fifth chakra, located in the throat center of the body. This chakra, or hub of energy in the body, is connected to our will, self-expression, our ability to self-advocate, and the power of our voice. Mantra during pregnancy and birth can help remove obstacles to our ability to express our wishes and needs—important always, but especially during pregnancy, labor, and birth. So what kinds of vocalization are beneficial in prenatal yoga classes and later in birth? Really, the most important element is the pitch of the sound. Higher pitched sounds in birth are usually a reflection of a woman’s panic, fear, or discomfort. High pitched sounds are often accompanied by physical tension in the body, a clenching that does not serve us in labor. Lower pitched tones, in contrast, help relax and open the body. The natural songs of a laboring woman vary by stage of labor, intensity of the birth process, and in the individual woman. As I experienced in my own birth, the ebb and flow of my voice matched the tide of my contractions. Many women sound out long “Ooooooooohs” or “Oouuuuuuuuu’s” or “Ahhhhhhhh’s” or “Ehhhhhhhhhh’s” during the birth process. 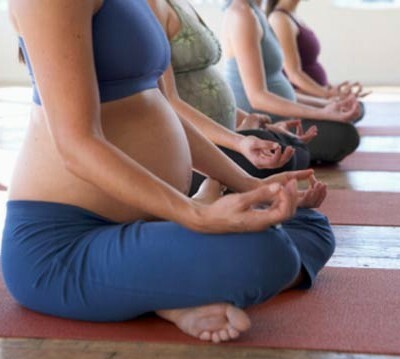 Of course, we don’t have to practice the actual sounds we may make in labor during a prenatal yoga class. 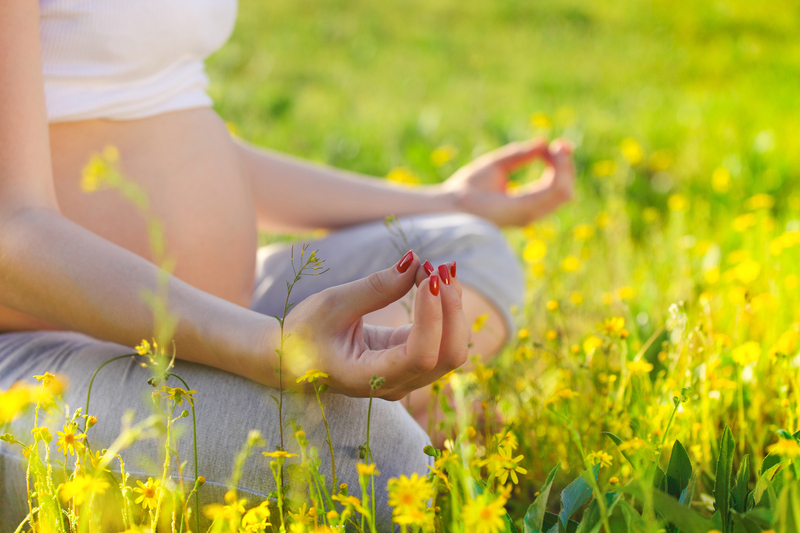 The tradition of yoga contains many powerful mantras or seed sounds that women can use in their practice during pregnancy to experience the benefits and prepare for their baby’s journey earthside. OM (AUM) is an excellent and very accessible mantra, likely the most commonly used mantra in a western yoga class (and is connected to the sixth and seventh chakras). Any of the seed syllables connected with the first five chakras can also be powerful. These include LAM (root chakra), VAM (sacral chakra), RAM (solar plexus chakra), YAM (heart chakra), or HAM (throat chakra). All of these sounds make use of the “AH” and/or “UH” sounds (depending on how you sound the words). The use of “MA” is another excellent mantra that uses the “AH” sound; relaxes, softens and opens the face, jaw and mouth; and connects us to the divine feminine. Additional longer mantras and chants can be used to invoke the divine feminine, our sense of deep peace and calm, and more. A yoga teacher who has studied mantra would be an excellent resource. When to use vocalization? In the course of a yoga practice, mantra can be used really any time, although you will mostly likely encounter it during the beginning portion of class, as you ground and center before moving, and at the end of your practice after final relaxation. Vocalization is a free and natural coping mechanism for life and for the birth of our little ones. Why not tap into this rich resource before birth so that you feel ready to freely explore how it may serve you during labor?